An iPhone app enhancing listening to music and exploring new artists. Access to 15+ million tracks. 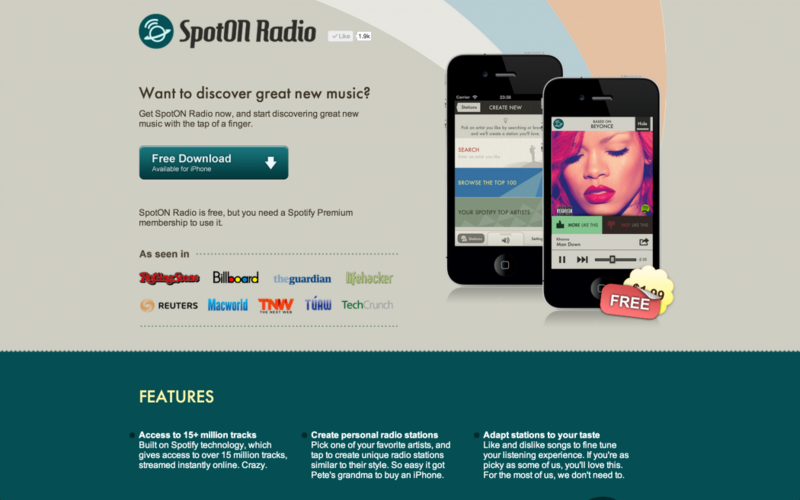 Built on Spotify technology, which gives access to over 15 million tracks, streamed instantly online.